Feferman, Warren & Mattison is the preeminent law firm in the Southwest devoted to protecting consumers. We enjoy suing businesses that lie to and rip off ordinary people. 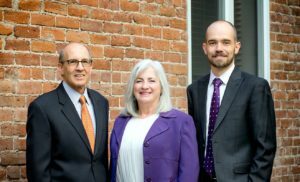 Our three lawyers work full time in consumer law. We have been the leader in fighting for New Mexico consumers for more than 20 years. Our offices are located in Albuquerque, but we accept cases throughout New Mexico, including cases for consumers in other states who have consumer law issues connected to New Mexico. Contact us for a consultation. A car dealer sold you a previously wrecked vehicle, a vehicle with a bad title, or otherwise took advantage of you. You are stuck in a predatory loan. A debt collector is harassing you. Your credit report shows inaccurate information or has been used inappropriately. You need help with any consumer law issue. The links on this page provide more information about the types of cases we handle, but even if your specific issue is not mentioned, contact us to see if we can assist you. In 2017, attorney Nicholas Mattison won a $7.3 million class action judgment against a payday lender. In 2016, attorney Nicholas Mattison won a $10 million jury verdict against an abusive debt collector. Attorneys Richard Feferman and Susan Warren obtained a $669,000 jury verdict against a New Mexico car dealer for fraudulent and abusive practices. Our firm has returned millions of dollars to tens of thousands of consumers in class actions against car dealers, predatory lenders, debt collectors and other abusive businesses. We have litigated national precedent-setting cases in the fields of motor vehicle sales fraud and credit reporting. The firm’s senior partner, Richard Feferman, has been honored with the National Consumer Law Center’s Vern Countryman Award, the highest honor for consumer attorneys.